This entry was posted in Announcements, OpenSim, second life, Virtual Worlds and tagged Adventurers Club meetings, Hypergrid Adventurers Club, Hypergrid Safari, metaverse, OpenSim, pioneers, Safari, second life, virtual worlds by John "Pathfinder" Lester. Bookmark the permalink. There is also one less known originating in Kitely http://www.kitely.com/forums/viewtopic.php?f=17&t=1602&hilit=metaverse+tours#p11418 those people, for the most part, are completely new to the HG. Good to see you, Minethere. 🙂 Thanks for that info about Kitely. I didn’t realize they were doing tours like that, but it makes sense since Kitely has just recently been connected to Hypergrid. Great opportunities for Kitely residents to start exploring! 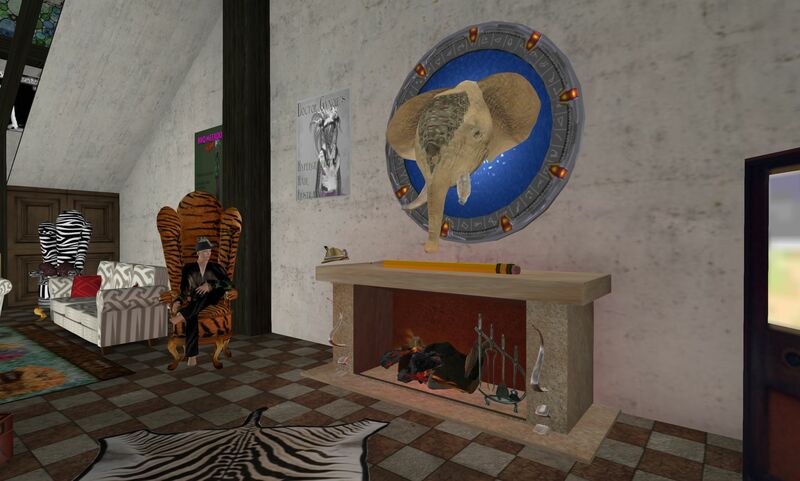 As a past Hypergrid Adventurers Club (HGAC) member and Virtual Worlds Evangelist , I am encouraged by the ongoing explorations across the interconnected Metaverse by Hypergrid Safari. I am delighted that others will continue group explorations across the interconnected Metaverse. It is so much more fun when exploring with others! I often find myself re-reading the 2011 Hypergrid Business article, “Curiosity, pioneer spirit drive hypergridders” by Miriam Pia (http://bit.ly/1qglJmP). Even now in 2014 and after several OpenSim explorations, I still… “see hypergrid jumpers as ‘testers for future travelers’ or ‘frontier scouts’ who will enhance the experiences of future jumpers”. Although many of the “future travelers” have not joined (or even discovered) the Metaverse, their virtual-based explorations will definitely be enhanced due to the “pioneer hypergridders” including Hypergrid Adventurers Club (HGAC), Metaverse Tours, and Hypergrid Safari. 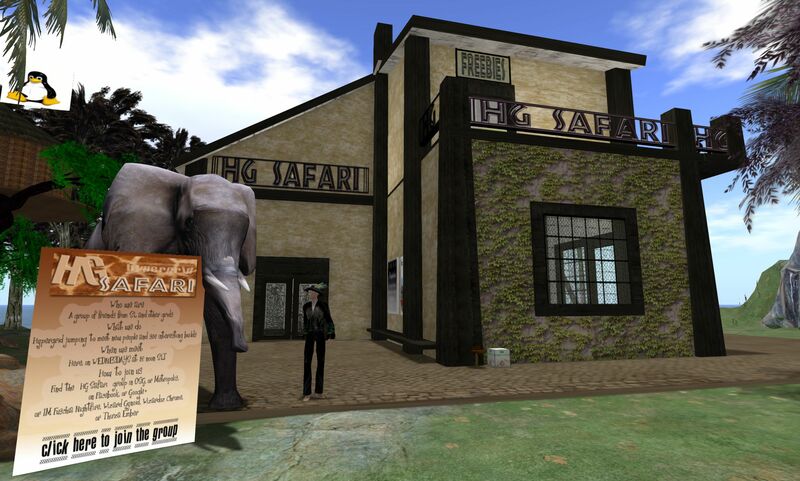 The OSGrid-based “Sarvana” (even Kitely-based “Sally”) is looking forward to exploring with the Hypergrid Safari group. May the “spirit of curiosity” continue throughout the Metaverse! Thank you, John “Pathfinder” Lester for the information! I remember that article. And still very relevant today as so many more people are exploring the hypergrid! 🙂 Thanks for linking to it. Thanks, John, for spreading your enthusiasm. As Miney mentioned above, we have a similar, but smaller group that’s been exploring OpenSim on Saturdays at 1pm PDT. We leave from the Kitely Welcome Center at: grid.kitely.com:8002:Kitely Welcome Center . We started as a way to introduce Kiteleans to the other grids, but now folks from other grids join in. Everyone is welcome. We usually explore a couple of Kitely regions and then hypergrid out to the greater metaverse. Thanks for the details Serena. That’s great. Do you have a Google or Facebook Group where folks can connect with you and each other? I’d love to link to it from this blog post and help spread the word however I can.